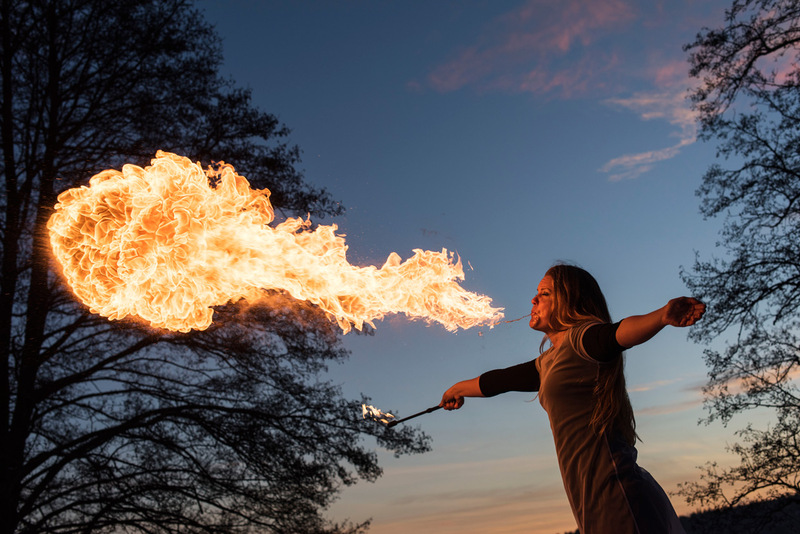 This past summer I photographed Johanna Hasmats in Tyresö, and just as we were wrapping up she mentioned that she also occasionally played with fire. She showed a photo of her breathing fire on a motor cycle, which looked spectacular. We chatted a bit over Facebook at the beginning of December and decided to do something after Christmas. New Year was quickly approaching and yesterday we managed to find a few hours. We met up at Flatenbadet south of Stockholm for some Fire and Ice. Earlier in the week it had been seriously cold, but on this day it was just below zero. 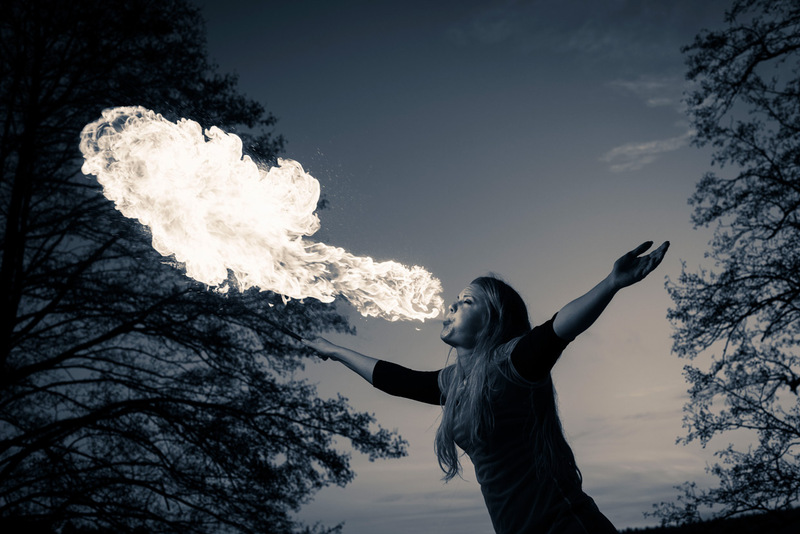 Our initial plan was a fire breathing Succubus, but that is a theme better revisited on a warm summer evening. The darker it is the more impressive the fire looks. We started shooting a bit before sunset to try and also get some texture from he beautiful sky. 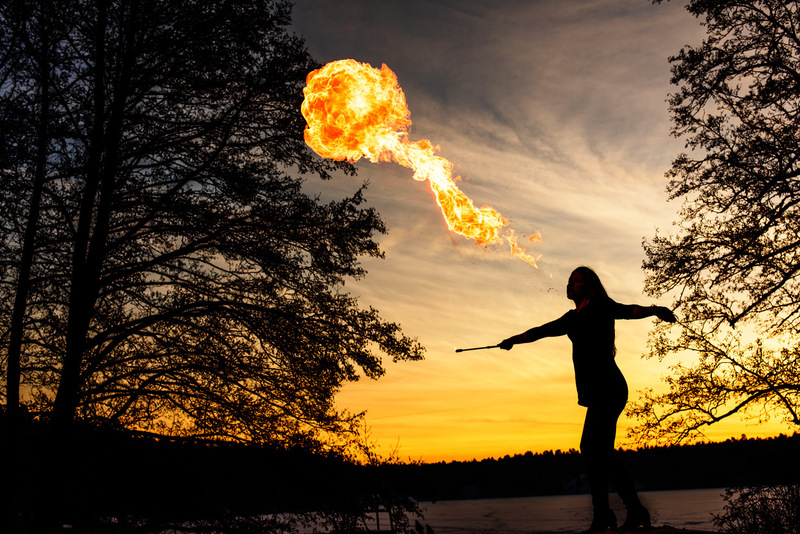 Here I wanted to play with the silhouettes, so placed Johanna in the gap between the trees and tried to have some of the fire ball over the trees to get a stronger contrast between light and darkness. The intensity of the light decreases quite quickly with distance. By capturing the flames just a little bit earlier we had her face illuminated also. Here I had stepped in a bit closer. When doing these photos I am careful not to overexpose the flames, as I want to maintain their texture and not just have a bright ball of shiny fire. The sky was quite bright when we started, but even though we underexposed the sky the flames were still quite bright. 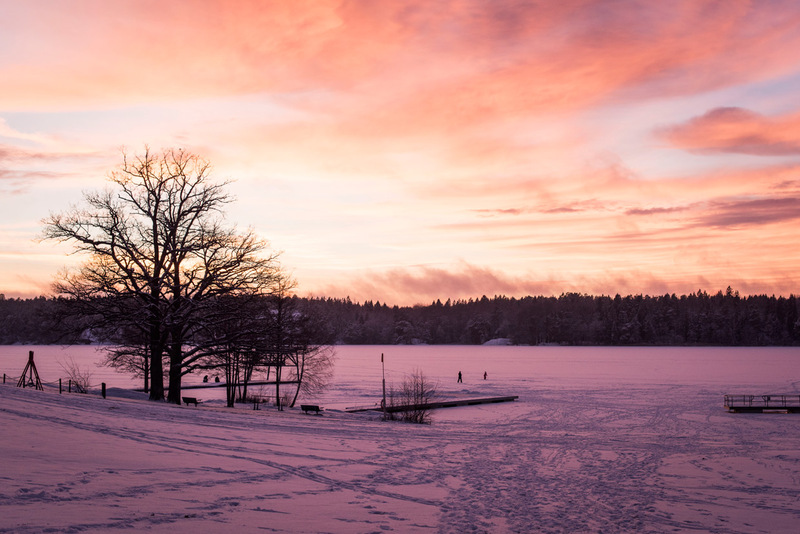 This is what Flatenbadet looks like in the winter. The sky was amazingly beautiful, and we would have kept shooting for another 30 minutes if we had had more oil to burn. For this photo I was playing around with a harder edit. I first added a bit of vignetting (darkness around the corners), and then increased the contrast in the photo by making the curve into a sharp S-shape. This automatically increases the saturation also. It was a fun shoot, and Johanna was a trooper with the cold. I wanted to work with silhouettes and the beautiful sky. Sitting here in my warm armchair at my parents’ place I realise that one thing we could have done is to have thrown some snow into the air with the fire. We did try a few shots with Johanna jumping, but those did not turn out all that great. In the end we decided to play it safe, this oily stuff is not good to breath in or swallow. 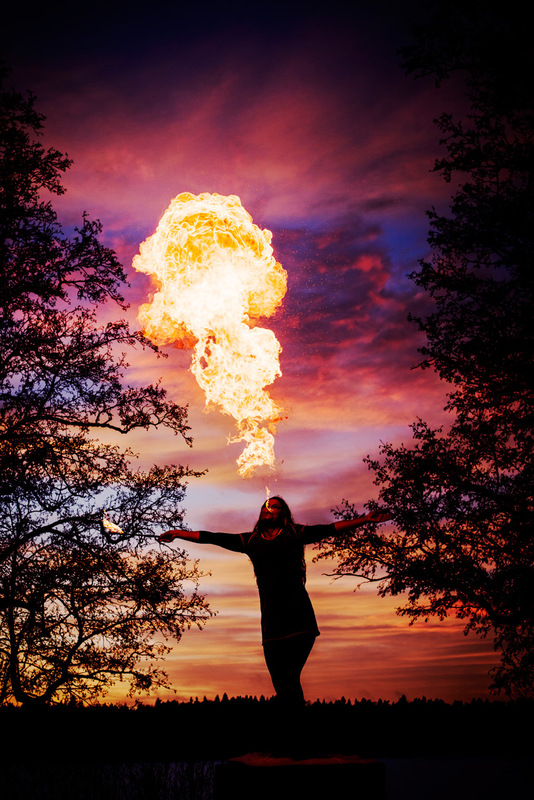 You have to be careful with fire, but it makes for spectacular images. Happy 100th blog post, and a Happy New Year to you all! So cool pics. Love it!